While a TA for a class on religion in American history, I puzzled over why so many students insisted that Charles Sheldon should be considered the founding figure of Social Gospel theology (rather than Washington Gladden). We discussed both figures in lecture, and there it was, right on the top of page 307 of the text book! Finally a student confessed to getting his information from Wikipedia. I was shocked to see how many of these extremely successful students relied on Wikipedia to fill in the blanks on their study guide. Don’t get me wrong, I love Wikipedia. Bashing Wikipedia, and blaming it for all that is wrong with our students, seems to be a fashionable hobby for many academics. Yet I suspect that many of these same academics joined me, upon hearing about the excavation of Richard III’s remains, in reminding ourselves of long-forgotten lectures via Wikipedia rather than dusting off Paul Murray Kendall’s biography of the controversial king. Wikipedia is a tremendously useful tool, and I find myself on the site at least once a day. We know, however, that the open format lends itself to errors or outright distortions. Instead of hypocritically lamenting the shortfalls of this nonetheless wonderfully useful resource, I’m trying to teach my students what Wikipedia is and what it is not. Along the way lies lessons on the production of historical knowledge. I teach historiographical controversy in all my courses. Some of my peers find it hard to believe that students would be interested in the often narrow debates between historians and worry that this approach would distract from the narrative. I find the opposite to be true, however. Students seem energized to engage history as a constantly contested, ever-evolving discussion rather than a series of agreed upon facts. This semester, in addition to sharing examples of historiographical controversies, I sought to illustrate the process by having the students write a historiography of a Wikipedia page. The assignment was simple enough: Use the “View history” tab on the top right of every Wikipedia page to tell the history of a Wikipedia page. When was the page created? Who are the key contributors to this page? What do we know about their biographies? How might these biographies influence the way these editors understand the topic? What issues generated the most controversy on the page? How trustworthy is this page? The students were allowed to pick any page relevant to their subtopic in the course. For our course on the rise and fall of Atlantic slavery, the students picked the following pages: Bacon’s Rebellion, Bartolome de las Casas, Fugitive Slave Act of 1850, Gabriel Prosser, Harriet Jacobs’ Incidents in the Life of a Slave Girl, and the Zong Massacre. I’m very pleased with the results. The students enjoyed the assignment and were enthusiastic to discuss their results. One student reported that reading through the history proved “tedious but fascinating, and sometimes funny.” The students had a great time comparing the creative vandalisms on their respective pages, but jokes aside, the assignment accomplished three things. The students saw firsthand what Wikipedia is and how it should be used. The students experienced an example of how historical knowledge is created, contested, and how consensus eventually forms. Finally, spending this much time with a Wikipedia page had the pleasant side effect turning the students into experts on their relative topics. The students took a particular interest in moments of controversy in the construction of the various pages. Eric was struck how the editors struggled to determine whether Bacon’s Rebellion is best understood as “class warfare” or “a geographic conflict” over land. Taylor noticed the difficulty editors had over understanding Bartolome de las Casas’s understanding of African slavery. Caroline confronted some of the disciplinary tensions between literary critics and historians as the entry on Harriet Jacobs’ Incidents in the Life of a Slave Girl waffled back and forth between treating the text as a subject for literary analysis or as a source for historical research. Christine’s study of the Gabriel Prosser page uncovered the critiques of Douglas Egerton’s much-debated work on Gabriel’s Rebellion. These controversies parallel the process of historiographical debate–or in the case of the Egerton discussion, lined up completely. As we continue to discuss historiographical debate (David Brion Davis’s debate with Thomas Haskell is on the horizon), I hope the Wikipedia assignment will reinforce the students’ understanding of history as a contested construction. You can read the student entries on our course website here. Feel free to leave comments on the page. The students would love to read your questions or comments. Just after we concluded the assignment, Whitney sent me this article reflecting on the gendered nature of Wikipedia. According to the article, Wikipedia editors are 91.5% male. This disparity requires comment. I look forward to pushing my students to reflect on the causes and implications of this disparity as well as particularly encouraging my female students to remain involved in the dissemination of historical knowledge. I am teaching a freshman writing-intensive seminar this spring on the rise and fall of Atlantic slavery using digital history tools. The course will build out from a WordPress site that I designed, and that you can visit at http://riseandfallofslavery.wordpress.com. In addition to brief, weekly blog entries based on the readings, students will focus on a subtopic of their own choosing for the remainder of assignments. A full list of potential subtopics is provided on the syllabus, but examples include economics, gender, law, religion, etc. 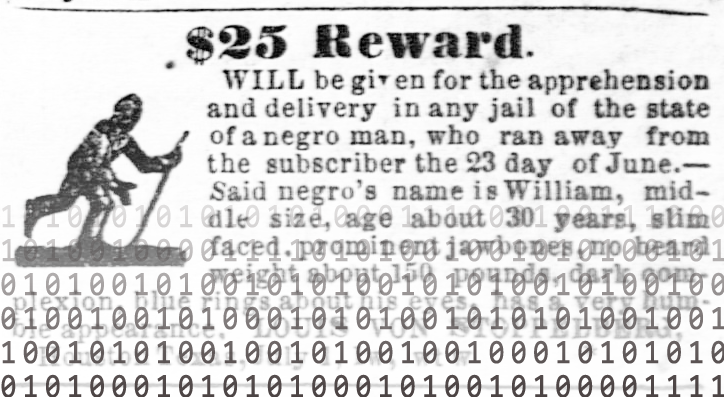 Assignments include the collaborate creation of a digital timeline using TimeineJS, the construction of an online archive using Tumblr, a historiography of a wikipedia page, a reflection on modern slavery, and finally a brief research paper that uses the sources that the student selected for their digital archive. I welcome feedback on the website, the syllabus, or any thoughts you may have on the course. I’m excited to experiment with this new pedagogical tool, and look forward to updating you on what works and what does not throughout the semester.